Digital transformation is moving at lightning speed. From a global enterprise software perspective, the use of rapid application development, continuous integration, and standards-based code and tech stacks is growing - your organization can’t afford to miss the boat. Join OutSystems CEO Paulo Rosado and a panel of experts as they dish out best practices for planning, launching and expanding your digital transformation journey without crashes or failures. Bimodal IT is putting even the most talented development teams to the test. No matter if you support or oppose the idea of two distinct IT speeds, there’s no denying the efficiency of two parallel tracks that support rapid application development and operational stabilization. The tension between agility and stability goes back to the foundation of IT, and during this session we’ll discuss the realities, challenges and opportunities of taking a bimodal approach. Join Jason Bloomberg of Intellyx and Rui Vaz of Deloitte in this all-about-bimodal bit. When it comes to a complete digital transformation strategy, speed is critical for success. In this session, we’ll discuss how to ensure your organization has the right tech stack to speed up your digital transformation. 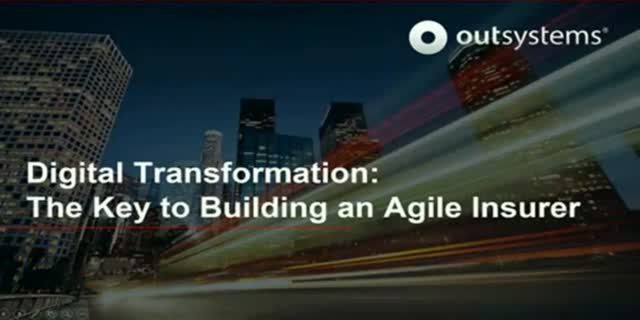 Join Forrester Analyst John Rymer and Steve Rotter of OutSystems for a comprehensive look at the role of development and application lifecycle management in forming a digital transformation strategy. You’ll also learn how to smooth the transition to digital while maintaining workforce productivity and a connected infrastructure.